Sodamola Oluseye Desmond is a DJ from Nigeria. 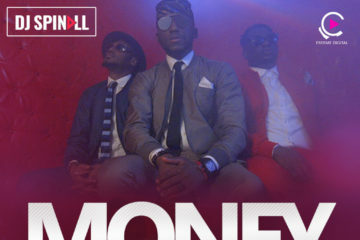 He is popularly known as DJ SPINALL a.k.a TheCAP. He grew up in Lagos, born June 2nd as third child from a family of five. He started calling himself SPINALL in 2003. Spinall just as the name implies signifies a DJ who plays all kinds of genre of music, he is not restricted to any specific genre, his style of play has been tagged by many as ‘fearless’ as a result of his ability to bring all kinds of music in one playlist, these differentiated him out from the lots and won him several awards. 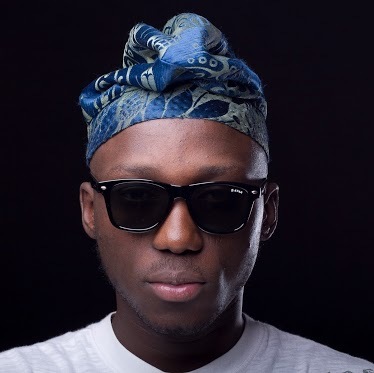 DJ SPINALL studied Electrical Electronics Engineering at the University, then went ahead to get DJ lessons and kept upgrading himself ever since with online tutorials & self rehearsals. He is also a proud member of the coalition of Nigerian DJs worldwide also known as NDJs. With experiences lasting close to a decade in the industry, the Unstoppable DJ Spinall has worked as a DJ on Ray Power and Eko FM Lagos and endless Club DJing experiences in the United States Of America, United Kingdom, Dubai, Italy, South Africa, Ghana, South Africa & of course across major cities in Nigeria. DJ SPINALL is the Official DJ for Channel O Africa, Wande Coal, Industry night and also official DJ for Beat FM Radio stations. He also has a deep working relationship with 2face Idibia, Sound Sultan, M.I, Ice Prince Zamani, Tiwa Savage, Wande Coal, Burna Boy, Sean Tizzle just to mention a few. He also has been on tour with different artist across the country at different times. DJ SPINALL has just completed “TheCAPUSTour” DJing for fans across 6 states in United States including Washington DC, Austin Texas, Houston Texas, Miami Florida & New York City. The first of its kind by an African DJ. He is also the first African DJ to perform at the SXSW Festival in the US. He has been very instrumental to the development of the Nigerian music. Some of his Mixtapes have crossed beyond the border of Nigeria therefore exporting Nigerian talents far and wide. 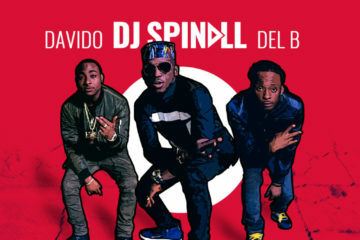 Some of his projects and mix tapes can be seen and downloaded on his official website www.djspinall.com. DJ SPINALL has released three official hit singles off the untitled album enjoying massive airplay across radio station in Africa and Europe from his yet to be titled album. He has so far featured some of African’s greatest voices including Burna Boy, M.I, Olamide, Sean Tizzle just to mention a few. 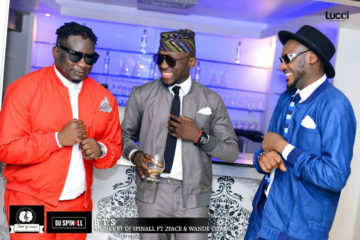 SPINALL added the traditional cap (Fila) to his outfit tracing his roots back to the Yoruba race and culture. TheCAP which he tags as The Crazy Azz Party has since then been his identity and it has created huge trend among young socialites across the country. Nigerian Entertainment Awards 2014, World Best DJ, New York.